Read well-documented articles about Luv' and solo topics. To read old files, see the "Articles archives" page. Luv' used to be very popular in the Netherlands and abroad in the late 1970's. It's a fact. The girls even received a Conamus Prize for being the best Dutch export music act thirty years ago. I found on internet evidence of their brief heyday in the neighbouring European countries (especially Belgium, the German speaking territories and Denmark). I even found peak positions of a couple of their hits on the South African charts (See the charts page). The group also scored three moderate singles in my homeland, France. When I first read in some bios that the girls topped the charts in New Zealand, I didn't believe it at all. I thought it was to exaggerate Luv's international prestige. I was convinced that South Africa was the only English speaking country where the ladies had really reached fame. But I've recently discovered a proof that Trojan Horse peaked at #6 in the "nation of the All Blacks" in 1979. Click here to see it (source: New Zealand Charts archives: http://charts.org.nz). It's the only chart entry in the "Land of the Māori" that I could find. So I suppose that Luv' was a "one-hit wonder" there. Better than nothing. 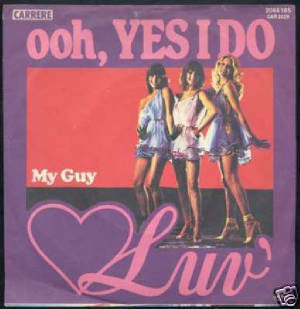 After a succession of hit songs, Luv's ninth single entitled "Ooh, Yes I Do" entered the Dutch Top 40 on November 10th 1979 and later became a smash hit in Benelux, Denmark and Germany and to a lesser extent in France. 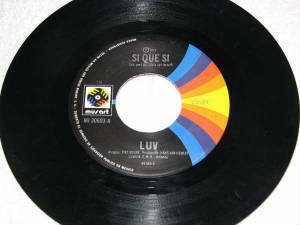 Luv' received in Mexico a gold record for the Spanish version of this single ("Si, Que Si"). Philips/Phonogram Records (the company which had released the group's records for two years). Van Hemert was not satisfied by the way the label promote the girls abroad (see articles archives: Summer of '79: Clouds on the horizon - posted on July 31st 2009) though they had big export hits (such as "You're the Greatest Lover", "Trojan Horse" and "Casanova"). In the meantime, Luv', Van Hemert and his partner (Piet Souer) as well as their manager Pim ter Linde formed a limited company (InterLUV) to control every aspect of their career. On October 7th 1979, the ladies and their team signed a 750.000 Dutch Guilder deal with CNR affiliated to Carrere Records (click here to read the article of De Telegraaf published on 10.8.1979). This contract was considered as "the show business transfer of the year" in Holland. The formation's first single released by Carrere was Ooh, Yes I Do, a track composed and produced by Van Hemert. The song uses a melody highly inspired by the flute theme of ABBA's Gimme! Gimme! Gimme! (A Man After Midnight). It became an instant hit in some European countries. 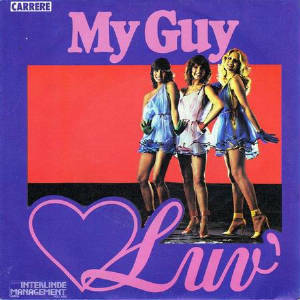 Luv' recorded a Spanish version of the single (Si, Que Si) for the Latin American market and conquered a new territory: Mexico. Ooh, Yes I Do is often included in the setlist of Luv' live shows. Two months ago, Patty Brard dedicated it to her fiancé Antoine van de Vijver to ask him if he would like to marry her (see news posted on September 8th 2009). 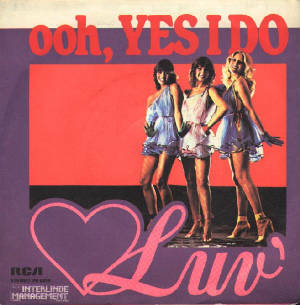 Ooh, Yes I Do was a Top 5 hit in Denmark and the Netherlands, a Top 10 record in Flanders (Belgium), a Top 30 song in Germany and a moderate chart entry in France. It went gold in Mexico. See the "Charts" page to know the single's peak position on the hitlists. Ooh, Yes I Do belongs to the back catalogue of Hans van Hemert Productions B.V (click here). 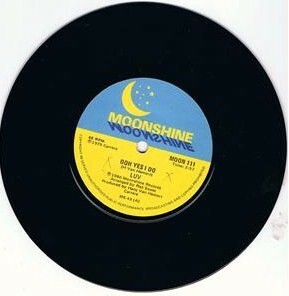 Like any other Luv' record, it was released in various editions - all depending on which countries the release took place. CNR/Carrere records licensed the rights for the record to various labels around the world. 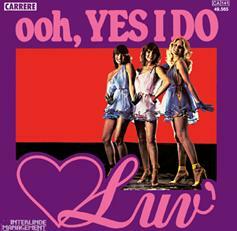 That's how, Ooh, Yes I Do was distributed by RCA in Italy, Discos Musart in Mexico and Moonshine in Africa. Moreover, as Luv' moved to Carrere, the girl group also changed its publishing company (which controlled the copyright of their songs). Their first publisher was Banananas Music during their Phonogram years (1977-1979) and their second one was Roba Musik Verlag during their CNR/Carrere periode (1979-1981). To watch Luv' perform Ooh, Yes I Do click here, here, here, here and here. 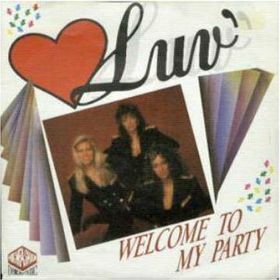 20th Anniversary of "Welcome to My Party"
Luv's single entitled "Welcome to my Party" (released by High Fashion/Dureco Records) entered the Dutch Top 40 on October 21st 1989 and later became a Top 30 hit in the Netherlands and Flanders (Belgium). This song didn't involve Patty Brard and José Hoebee. It was actually performed by another trio featuring Marga Scheide (the only original Luv' singer) and two new members: Diana van Berlo and Michelle Gold. In late October 1988, José, Marga and Patty reunited seven years after their break-up for a TV charity show (Samen) hosted by Mies Bouwman. They sang their signature song "You're the Greatest Lover". This performance took the public and the media by surprise as the ladies hadn't been on speaking terms for years. Because of enthusiastic reactions, Luv' planned to record new material. British hitmachine "Stock, Aitken & Waterman" (who produced successful chart toppers for Kylie Minogue, Rick Astley, Jason Donovan, Mel & Kim, Bananarama, Donna Summer and even Luv's rivals "The Dolly Dots") were said to produce the trio's comeback opus. Unfortunately, this project never happened. In May 1989, José didn't want to belong to the group because of family duties. Soon after, Patty did the same as she wanted to focus on her TV career. Marga carried on as she held the copyright on the group's name and logo. She launched a new version of Luv' without the consent of Hans van Hemert (who conceived the female pop act). Two other girls were recruited: 23-year-old Diana van Berlo and 28-year-old Michelle Gold. Diana was an experienced vocalist as she had already performed under the stage name Sharon Vice. Michelle had an impressive career in the music business before joining Luv'. She had been a background singer of James Ingram, Grover Washington jr, Nik Kershaw, Helen Terry (of Culture Club), Princess. Evelyn "Champagne" King and Run DMC. With the help from Marga's partner at the time Jacques Zwart (a.k.a E. Mergency), a new repertoire (highly inspired by the Dance pop and catchy sound of Stock, Aitken & Waterman and their PWL label) was chosen. English producer Nigel Wright was hired to supervise the recording session. This former member of Shakatak was a veteran of the music scene thanks to the hit records he produced for Mirage, Imagination and numerous bands. Under Wright's guidance, Luv' recorded the EP "For You". The first single taken from this mini album was "Welcome to My Party". Though it didn't achieve the success of Luv's hits from their heyday in the late 1970's, the girls often performed on TV and toured the club circuit. Welcome to My Party peaked at #22 on the Dutch Top 40 and #19 on the Nationale Hitparade in the Netherlands. It reached the 28th position on the BRT Top 30 in Flanders (Belgium).